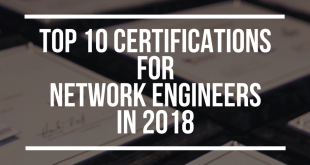 Whether you are an experienced network engineer, or an enthusiast at the beginning of your networking career, I am sure that you have thought at least once about how it would be beneficial to pass one or more of the prestigious Cisco certification exams. Besides your ambition and decision to certify, the most important part on your road to success is the process of preparation. Preparing for the exam involves committed engagement, good time management and positive energy to keep you from giving up on the road. 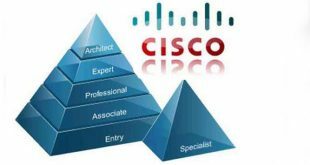 My idea here is to try to motivate you, present my point of view regarding the exam preparation – my methods and strategy, as well as my experience with Cisco certificates. First of all, I suggest you to take all the possible source of information into account – everything from books (ciscopress.com), Cisco Networking Academy materials, videos, online courses to articles and blogs like Router Freak!, and of course, the advice from this article. Even if you arm yourself with a wide variety of knowledge sources, which will certainly give you some dose of confidence, you may easily find yourself overwhelmed with this bunch of material. So, try to sort out this stack somehow and give importance to those materials you prefer the most, after which you can deal with those less relevant or interesting. I personally prefer to familiarize myself with concepts and technologies from books, and then read the explanations from blogs. People tend to write informal and intuitive blogs, so you may find them helpful, as I do. If you prefer books, try to read few of them – you will find out something new from each. Even though there is a huge amount of books available for Cisco exams preparation, publications by Cisco Press (official exam certification guides) should be your first choice as they are the most authentic resource. Also, I suggest you to watch online Cisco training videos, which are usually a mixture of live lecture, slides, live labs and white board. The most popular resource of training videos is CBT Nuggets. You may find them useful, especially if you are more of an auditory or visual learner. In short, a lot of material is available online, and the lack of it just cannot be your excuse. Make the most of material offered and delivered by networking enthusiasts who selflessly share their knowledge and insight, for free. You have collected all the necessary material for the exam preparation, but you are still missing one important thing – a good plan, that is, the order in which you will go through the material, day by day. You need to develop your own strategy, find the order that works for you, maybe put it on a piece of paper, and then into practice. When I decided to take the CCNA exam, organizational and time management skills had an important part in my learning process. These couple of months have to be carefully planned, so that you could have more control over the learning process and go through all the materials systematically. Every day I would read a chapter or two, do a couple of labs, and watch a video. Once you have a plan, it is easier to track your progress, and be systematic. You just have to stick to it. Even though the preparation for the certificate can be a way to relax (at least that is how I perceive it) and involve reading before the sleep, you must be aware that you will come across lots of new information, most of which you will simply forget. It is good to have some technique to separate things you know, from those that are new to you and require special attention and review – like marking, underlining or taking notes. Personally, I find this step the most important part of learning process. Taking notes when reading may be an extra challenge if you do not have this habit, in which case I suggest you to develop it. It will make you actively decide what is important, concentrate on the material and, in short, make the learning process much more efficient. To me, each form of study or research implies purchasing a nice notebook, which will serve as a storage of my observations, thoughts and notes, in my own words, taken when reading, doing labs, listening to videos, etc. I strongly suggest you to get one for yourself, to help you retain and ultimately remember what you have read. One of the most effective ways to prepare for the Cisco exam is to go through as many practice labs as you can. For most of the people, using Cisco Packet Tracer and GNS3 is the best option to practice labs for any kind of Cisco exam. The real hands-on experience will not only prepare you for the exam, but for the real problems you are to be facing as a network engineer. Putting theory into practice is, for most of you I believe, the most interesting and challenging part of learning process. Try to devote sufficient time and effort to master all the skills – subnetting, configuring, troubleshooting, etc. Familiarize yourself with the official exam objectives, that is, the content likely to be included in the exam you are taking. Let this content be a guideline while you are studying. 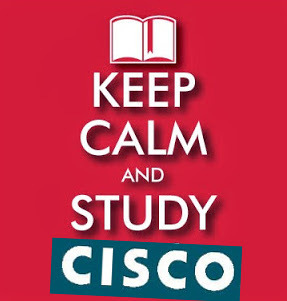 Check the exam objectives on the Cisco certification page. Besides taking notes, doing my own mind maps and drawings helped me to understand and simplify many concepts and mechanisms covered in CCNA and CCNP program. When you are reading a book full of terms, technologies, commands, and numbers, or listening to videos, it is good to have a piece of blank paper and a pen to visualize what you are reading or listening. Even many of the instructors who have created those videos use drawings to explain certain technologies and mechanisms. Making mind maps and drawings will help you visualize the content and retain important information. Your colorful drawing will certainly remain in your memory longer than a piece of text that explains it. Make sure you fully understand the information provided, and pay extra-close attention to things you did not fully understand. You will feel confident about one topic, and less confident about another. If something is unclear from a book that you have read, try to find an explanation in article or by watching videos. After you went through all the materials you have planned, and have a fairly decent amount of knowledge and self-confidence, test your readiness for the exam. Practice tests (such as Boson) consist mostly of multiple choice questions and are already included in almost all Cisco Certification study guides. These tests will give you a simulated experience similar to the real certification exam, teach you a new way of thinking about the material, and after all, give you an indication of your readiness. If you want to completely master every aspect covered in Cisco certificates, practice on real equipment, collaborate with colleagues and share knowledge and ideas, learn from the instructor, I suggest you to enroll in Cisco Networking Academy program. I have passed both the CCNA Routing and Switching and CCNP programs, but did CCNA Security on my own, and I assure you – it is completely different when you are going through the material on your own, from when you are led by an instructor who has experience, shares his/her knowledge, stories and problems from reality. I would always recommend the enrollment in any of the Cisco programs available, rather than doing everything on your own. All the tips here still count, but it is lot easier to prepare for the exam after a previously completed program. Even though I successfully passed the CCNA Security certificate, I believe it would be much easier if I had finished the official program. And the last advice I can give you is – do not give up! Certification is ultimately a confirmation that you possess certain knowledge and skills, which can only be achieved through hard work and dedication. Your effort will pay off! Happy networking, till next time! Ingrid Belosa is a networking enthusiast from Croatia. She is here to help you with grasping networking concepts. Thanks for sharing these tips to qualify Cisco exam and certification. 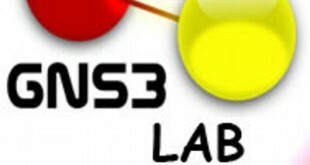 I have joined CCNA training in Delhi before 2 days at Netlabs ITS India. I hope I will qualify for the exam. Thanks! Glad to be helpful with our work. 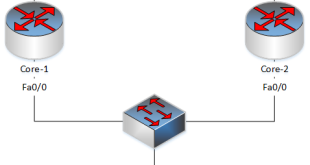 There are universities as well as pairvte schools that run CCNA as a part of their curriculum. This will be vastly more expensive than 250$ though.For reference, I was 17 when i first took the CCNA (back then, at IT-akademiet). Many people tend to take it as part of their job though, so that would naturally increase the average age by quite a bit.